Figure. Western Blot; Sample: Recombinant VDR, Mouse. 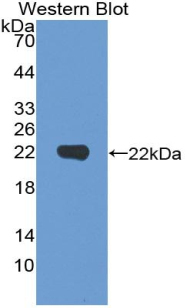 RPA475Mu02 Recombinant Vitamin D Receptor (VDR) Positive Control; Immunogen; SDS-PAGE; WB. RPA475Mu01 Recombinant Vitamin D Receptor (VDR) Positive Control; Immunogen; SDS-PAGE; WB. PAA475Mu02 Polyclonal Antibody to Vitamin D Receptor (VDR) WB; IHC; ICC; IP. 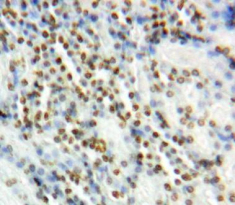 PAA475Mu01 Polyclonal Antibody to Vitamin D Receptor (VDR) WB; IHC; ICC; IP. SEA475Mu ELISA Kit for Vitamin D Receptor (VDR) Enzyme-linked immunosorbent assay for Antigen Detection. KSA475Mu01 ELISA Kit DIY Materials for Vitamin D Receptor (VDR) Main materials for “Do It (ELISA Kit) Yourself".